A ventilator is essentially a medical equipment that supports the breathing process of a patient. It enables the passing of breathable oxygen into the airways of the patient such as larynx, mouth, and nose. It additionally carries out the carbon dioxide exhaled out. Ventilators are designed such that they deliver a fixed volume of air in and out. They operate in different modes such as volume cycle, pressure cycled, airway pressure release ventilation, (APRV), pressure regulated volume control (PRVC), and assist control ventilation (AVC) or non-invasive positive pressure ventilation. While the different ventilation modes aren’t a way to cure a disease, they are used in the recovery mode for supporting the patient in case of critical illnesses. In case of chronic ailments or emergency situations leading to respiratory failure, ventilators prove to be lifesavers. With the surge in incidence of chronic ailments, such as bronchitis, asthma, chronic obstructive pulmonary disease (COPD), and other lung disorders, coupled with the rising number of accidental emergencies, the global ventilator market is witnessing high demand for the product. The demand is additionally accentuated by the changing inclination towards superior home care, propelling the requirement for portable ventilators. The key factor that could possibly hamper the growth of the global ventilator market are budget crunches faced by manufacturers, due to high component and assembly cost of the device. However, the broad usage of the ventilators is expected to overcome this restraint and fuel the growth of the global ventilator market. The global market for ventilators is experiencing a significant expansion in its size, thanks to the continuous rise in the global geriatric population base, escalating cases of preterm births, and the augmenting number of ICU beds. Researchers expect the market to continue witnessing tremendous growth in the years to come. 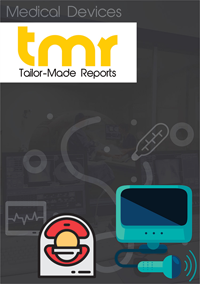 The prime target of this report is to provide clear and detailed information about the worldwide market for ventilators to consultants, stakeholders, and other participants of this market to assist them in making well thought of decisions about their businesses. In terms of mobility, intensive case ventilators emerged as the key segment of the global market for ventilators in 2017, thanks to the increasing demand for intensive care beds with ventilators across the world. The significant rise in ICU admission and re-admissions in emerging economies, together with, favorable reimbursement scenario is currently boosting the intensive case ventilators segment. Invasive ventilation interface has surfaced as the leading segment of this market, in terms of interface, and is expected to remain so, thanks to the widening base of applications of intensive care ventilators, especially in neurological diseases, respiratory diseases, and sleeping disorders. Hospitals and clinics are the key end users of ventilators across the world. With the high financial capabilities of hospitals, making them capable of to purchasing expensive instruments and the availability of skilled professionals, the hospital segment is anticipated to continue on the top over the next few years. The global market for ventilators is expected to gain substantially from the rising investments, presence of favorable regulatory policies, and the significant surge in the healthcare industry in developing economies, especially in the Asian region, in the near future. However, the issues associated with the usage of mechanical ventilators, hesitation of physicians for technological transition, and the easy availability of comparatively cheaper products from local vendors may limit the growth of this market to some extent in the years to come. Among all the regional markets for ventilators, North America held the leading position in 2017 and was closely followed by Europe and Asia Pacific, thanks to the significant rise in geriatric population and the increased number of smokers, leading to augmenting prevalence of respiratory diseases. The regional market is expected to remain on the top in the near future, thanks to the presence of a highly advanced healthcare system, increasing healthcare expenditure, and the presence of established players in this region. The presence of a large pool of players points towards the competitive and fragmented structure of the global market for ventilators. Philips Healthcare (Netherlands), Medtronic (Ireland), ResMed (US), Becton, Dickinson and Co. (US), Dräger (Germany), Getinge (Sweden), Smiths Group (UK), GE Healthcare (US), Hamilton Medical (Switzerland), Fisher & Paykel (New Zealand), Zoll Medical (US), Air Liquide (France), Allied Healthcare Products (US), Schiller (Switzerland), and Airon Mindray (China) are some of the leading vendors of ventilators across the world. These vendors primarily rely on technological advancements to remain significant in this market. However, a shift in their focus towards mergers, acquisitions, and partnerships can be observed in the years to come.